This year Auto Racer’s for Kids will be supporting the following charities. Since our inception in 2007, we have donated over $320,000 to kids! 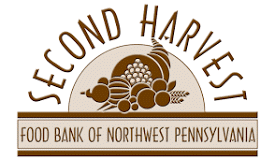 Second Harvest Food Bank The BackPack Program provides needy children with nutritious, child-friendly food when other resources, such as school lunches and after-school meals or snacks, are not available. Backpacks are discreetly distributed to participating children at schools on Fridays. This program helps provide the proper nutrition necessary for overall growth, physical and cognitive development and satisfactory performance in school. Second Harvest selects and obtains the food for our sites and volunteers assemble individual bags for distribution. The food is nonperishable, vitamin fortified, and easy to prepare and consume. Some of the types of items that might be included are juice, soup, nutritious snack bars and crackers. Children might also share the food with younger siblings at home. The BackPack Program was designed by Feeding America, the food bank network that Second Harvest belongs to. The idea originated in Little Rock, Arkansas, after a school nurse asked the local food bank for help because hungry children were coming to her with stomachaches and dizziness. The children’s symptoms of hunger brought home the growing need for food assistance among children in our land of plenty. Children comprise 30 percent of the individuals Second Harvest serves. Autism Society – ASA increases public awareness about the day-to-day issues faced by people on the spectrum, advocating for appropriate services for individuals across the lifespan, and providing the latest information regarding treatment, education, research and advocacy. As a local chapter we make this information available to our membership and the community at large through support groups, our website, education, workshops, and seminars. The Refuge – is the only emergency shelter in Erie that can keep the entire family unit together by housing them in their own room. This key element helps to provide some stability to children and families during the difficulties of homelessness. The Refuge can house up to nine families at a time. During their 30- to 45-day stay, families are empowered through assessment and advising, referrals to community resources, and personal attention to strive toward independence and permanent housing. Particular attention is given to the children at The Refuge, helping them work through the stress and transition that homelessness brings. Last year, The Refuge sheltered 83.6% of all children in Erie’s homeless-shelter system and 63% of the homeless families. Erie Dawn – Erie Dawn was founded in 1995 as a shared ministry of The Sisters of St. Benedict, The Sisters of Mercy and The Sisters of St. Joseph. Erie Dawn addresses the underlying root causes of homelessness, working with women to build assets, both tangible and intangible, for their future. The goal is to provide homeless women and their children with a home, while giving them the support, sources and tools they need to achieve economic self-sufficiency and permanent housing. Erie Dawn provides Supportive Services, Youth Activities, Enrichment and Housing. Bethesda Trinity Center – Bethesda Trinity Center is the oldest community center in the city of Erie. All of the programs offered at the Trinity Center are free of charge. The mission is to provide preventative-based services for children including: Increasing awareness of the dangers of drug and alcohol use, education on how to remain drug and alcohol free, improving academic performance, providing resources to families and giving families a safe place for their children to learn, have fun and interact with other youth. The Trinity Center also operates the Kid’s Café offering any child up to the age of 18 free dinner Monday through Friday. Since 2007, ARK Charities has raised more than $320,000 to benefit 16 different Erie Charities. Auto Racers For Kids Charities Inc. was developed to raise funds for local children’s charities through auto racing and golf. We at ARK found charities need help in raising funds for the great work they do. ARK has found that the fans, drivers, tracks, and support people in auto racing are very giving and generous people and have stepped up to help us raise money for these great children’s charities. The stories of these needy children tug at our heart strings every day and help keep ARK motivated to continue our mission. Listed below are the charities we have helped. We ask you to get involved and help us help kids by donating your time or money to ARK. Auto Racers for Kids Charities, Inc. Your support allows us to fund these wishes and so much more! Help Auto Racers For Kids Charities enrich the lives of area children.